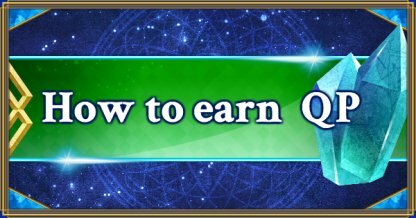 On this page you'll find our guide to earning QP in FGO (Fate/Grand Order). As well as introducing the best Craft Essences for QP generation, we'll show you the most effective ways to earn QP from Daily Quests and Events - so if you're running low on this in-game currency, read on! Our recommended Quest for generating QP is In one run you can earn on average 1.2 million QP. However, there is a large variation in the amount of QP that drops each time - depending on your luck Advanced level can sometimes earn more than Expert. The amount of QP that can drop in the "Treasure Vault" Daily Quest varies dramatically. Over seven runs, the least amount we acquired was 950,000, and the most was 1,490,000. Take note, there can be a difference in averages when using units of 10, 20 or 30 runs as sample data. When farming the "Treasure Vault" we recommend "Mona Lisa"
An effective way to increase the amount of QP you acquire is to equip a Craft Essence that boosts the collection rate. Equipping And you still get the effect even with a Support Servant, so having it equipped to your own Servant and a Support can give a maximum 20% QP gain. 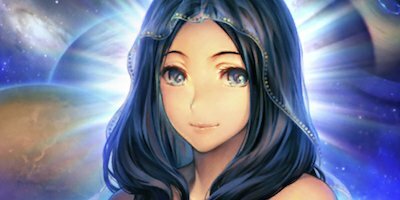 While the Craft Essence "Mona Lisa" boosts the rate at which QP can be acquired, there are also Essences that give fixed amounts, such as "Increase QP from clearing Quests by 2019". If the original QP drop is small, a Craft Essence giving a fixed increase may earn you more. Although rare, there are Events that surpass the "Treasure Vault"
By taking part in Events you can get QP for exchanging Event Items or as Point Rewards. The yield for the "Parking Lot" Quest in "The Garden of Sinners" Event exceeds even the "Treasure Vault". Items you get during Events can be exchanged for QP but essentially it is best to exchange these for Enhancement Items. Only after all Enhancement Items have been exchanged should you use any remaining Event Items for QP. Lottery Events which allow players to win prizes by opening boxes are a great chance to earn QP. Unlike those types of Event where you need to exchange Event Items, in Lottery Events you can earn both Enhancement Items and QP. They are super beneficial to farm, so make sure to try them whenever they are on. 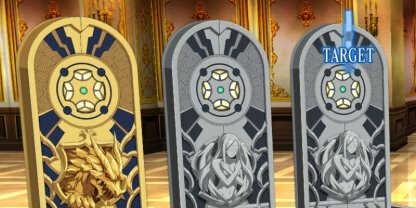 QP is an in-game currency used for Ascension, Skill Enhancement, and Palingenesis (Grail Ascension). Although it's not a problem when you are only using your QP for Ascension, when you begin Enhancing Skills you can often run out.